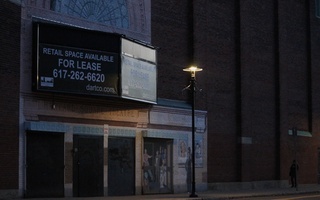 Located on Church Street, the Harvard Square Theater is currently vacant. The Cambridge Historical Commission has postponed granting a certificate of "appropriateness" to a Harvard billionaire's plans to renovate the Harvard Square Theater due to concerns over the new building's size and the lighting thrown by its suggested facade — a large, external video screen. 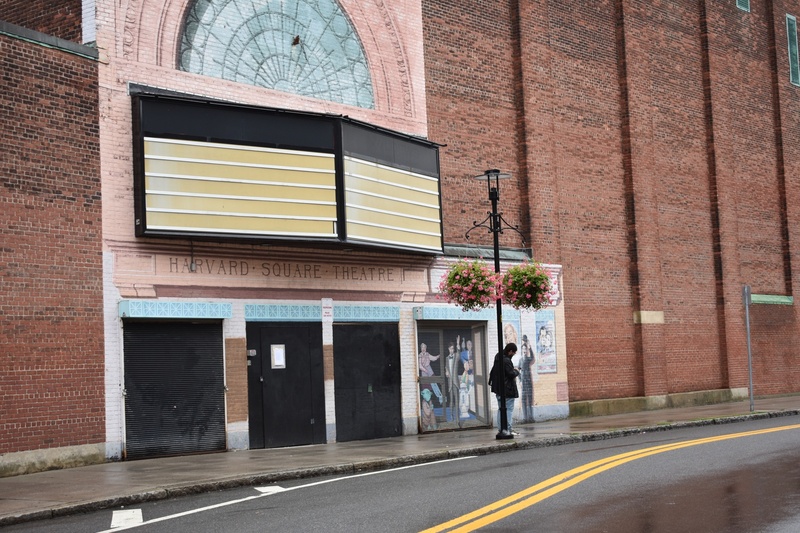 The theater, which is located on Church St. and has been vacant since its closure in 2012, was purchased by billionaire and top-tier Harvard donor Gerald L. Chan in 2015. In 2017, Chan officially revealed his plans for renovations, which would add 14 feet to the height of the current building and establish a large LED-dotted facade for outside art displays. In order for construction to begin, Chan’s team of architects must first win certification from the Cambridge Historical Commission. Executive Director Charles M. Sullivan said the commission oversees modifications to building exteriors, demolition, and construction within the Harvard Square Conservation District. In recent years, the Commission’s influence on the future of Harvard Square has sparked frequent debate as renovations crop up throughout the area. Site-specific constraints have also snaggled the planning process. “We had to spend a lot of time on technical issues,” he added. The reopening of the theater is a top priority for some in Harvard Square. 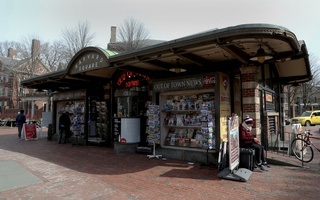 Denise A. Jillson, the executive director of the Harvard Square Business Association, said the building's closure had lasting negative repercussions for the local economy. Jillson linked the closure of Cambridge restaurant FiRE+iCE in 2016 to the theater’s shuttering four years earlier. Sullivan also stressed the theater’s impact on nearby businesses in the Square. Despite the wait, community figures say they remain optimistic about the facade and the project overall. 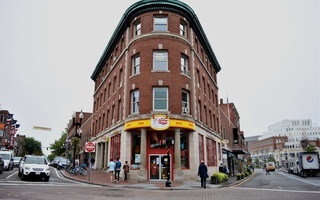 Suzanne P. Blier, a Harvard professor and leader of the Harvard Square Neighborhood Association, said she is pleased with the work Chan’s team has done. “While it should come down in height, and will need careful light planning and control, I love the idea! 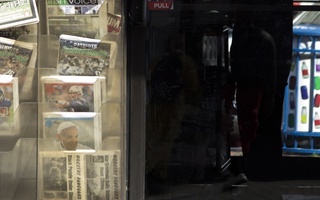 In a way it is a new form of public art,” Blier wrote in an email. Though there may be several more hearings before the project is approved, Sullivan said the outlook is positive. 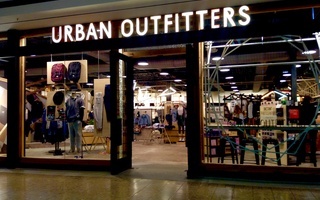 “In general, the public seems to like it. And it’s certainly within the realm of possibility to receive a certificate of appropriateness, but there are these details that need to be worked out,” Sullivan said. Galluccio said Chan’s team has also sought public feedback on the proposal and is optimistic about the permitting process. “We had a pretty successful first hearing, the reception was pretty good, which I think really relates to a long process of getting here where we spent a lot of time listening to different stakeholders in the community,” Galluccio said. “It took us a long time to get to this point but it was a very informed process." Chan’s team will present their plan and a mockup of the facade at another hearing before the Historical Commission in the coming months. Jillson acknowledged the remaining hearings, demolition, and construction process may take up to three years. But she said locals are looking forward to the end result. “The reopening will be a time for celebration,” Blier wrote. —Staff writer Paul D. Tamburro can be reached at paul.tamburro@thecrimson.com.